We take a look at how integrated idea management differs from traditional methods and enables employees to collaborate on ideas. Ideas. We’ve all had them. We have them all the time in our day-to-day ramblings. Some are big and ambitious, some small and simple. Some are good (the wheel, sliced bread, the Internet), while some (using orange juice in your tea when you’ve run out of milk, for example) are downright terrible – take my word for it. It’s those good ideas we want to focus on, of course, because when it comes to a business, harnessing a strong idea can lead to increased revenue streams, reduced costs and more efficient ways of working. Idea management, then, is an important weapon in an organization’s armory. It means that a structure is in place to generate ideas, identify the best ones from the pool, capture and organize them and, ultimately, implement them for the benefit of the company, in a way that wouldn't have happened through normal processes. 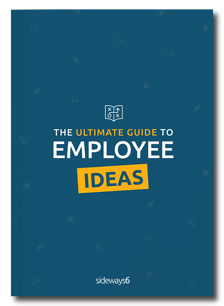 When done well, employee idea campaigns, backed up by effective idea management, can be really effective in helping companies grow and succeed. How has the integrated approach evolved? Integrated idea management is built on two main principles inspired by legacy methods that you will almost certainly have seen before. The first is that it should be quick and simple for people to collaborate on ideas, much like a traditional suggestion box. First seen in the early 1900s, the suggestion box was an easy-to-use receptacle for collecting paper with input from employees and customers alike on potential ideas or improvements. The suggestion box approach eventually evolved, and the advent of email and the Internet meant that physical boxes were replaced by electronic places or addresses, although the underlying factors of ease of use and the collection of input remained. The second principle stems from traditional idea management, drawn from the ideas applications that came to the fore in the 2000s – that teams within an organization should have a smart way to filter and prioritize the best ideas. These applications were effectively discussion forums exclusively for employee ideas, similar to the ADKAR model of goal-oriented change management created by Prosci founder Jeff Hiatt covering the five principles for successful change – awareness, desire, knowledge, ability and reinforcement. Integrated idea management is an approach of listening to ideas by using pre-existing tools and software, rather than a dedicated ideas application. All the ideas collected are then fed into a single platform where they can be filtered, reviewed and managed accordingly. For example, if an employee has an idea to improve their company, they could put forward the idea on the company’s social network, by email, SMS or through a chatbot. The method is particularly popular with large organizations who have a disparate workforce and so want to make it easy for employees to collaborate on ideas. While this traditional approach can bring rewards, there typically needs to be a large amount of change management, communication and engagement required for any sort of success. Thankfully for us, the rise of APIs and general-purpose communications channels like Slack, Workplace from Facebook, or Yammer and Teams from Microsoft, has seen a new approach emerge: Integrated idea management. An integrated approach makes it simple for employees to submit and discuss ideas, utilising tools they are already using such as the communication channels mentioned above, plus email, SMS, forms or intranets – whichever is easiest for employees. These are then fed into an idea management platform, allowing teams to manage them at scale. This platform is typically invisible to 99% of employees, who only interact with the front-end of their choice, while managers use the platform to oversee, review, analyze and prioritize the ideas generated, before passing feedback back to the front-end for employees to see. The great thing about using an integrated idea management approach is that it engages people and encourages collaboration – particularly important at organizations with a large, disparate workforce – by using existing tools as opposed to learning to operate yet another new application (while also saving precious memory space). 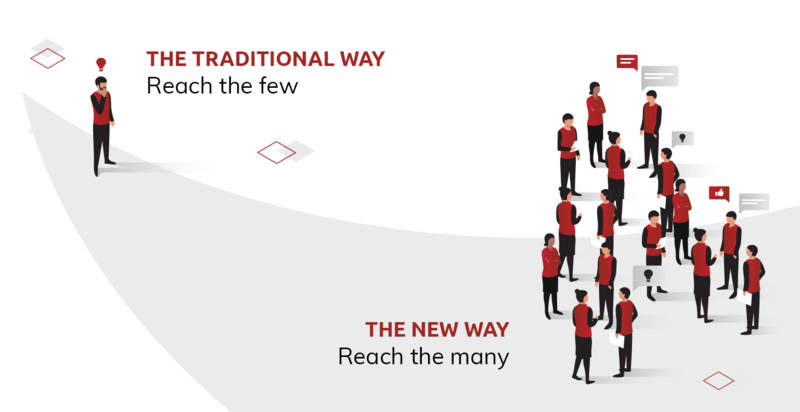 Further advantages of an integrated approach include: a far higher engagement from your target audience; a better user experience for those employees engaging in the ideas campaign; a faster start-up to tackle your challenges; and the fact that you are using a platform with enormous development and design resources behind them. What’s not to like? Do I need integrated idea management? Integrated idea management could be the key to unlocking the idea potential at your business – hopefully without an orangey cup of tea in sight.